Evaluating the Impact of Beach Nourishment on Surfing: Surf City, Long Beach Island, New Jersey, U.S.A.
Utilizing the Cornell University Long and Intermediate WAVE (COULWAVE) Boussinesq wave model, the effect of the construction of a conventional beach nourishment project in Surf City, New Jersey, on the quality of the local surf break is examined in detail. A 20-year-long nearshore synthetic wave record is first developed for use in creating a monthly wave climate “almanac” so that typical seasonal effects on surf-break quality can be objectively portrayed. The wave model is then run with preconstruction bathymetric conditions, and with three postconstruction surveys performed in subsequent months. 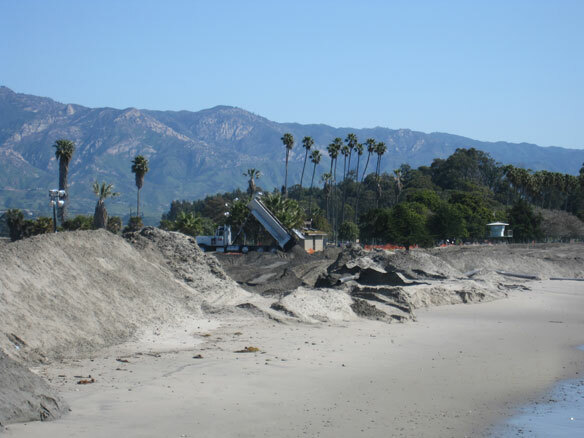 Construction of the nourishment project was found to affect the quality of the surf break adversely by (1) compression of the surf zone, (2) an increase in the occurrence of “closeouts,” (3) a shift in breaker type toward collapsing breakers, particularly during high tide, and (4) an increase in wave reflection—findings that are in agreement with anecdotal testimony offered by local surfers.